This beautiful CHARM IT! 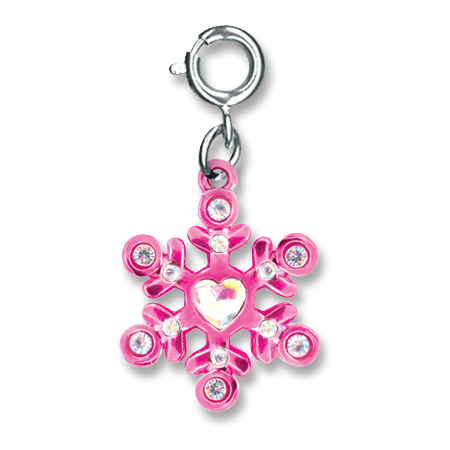 Pink Snowflake charm lets everyone know that you don't really mind a little snow and that your holiday spirit knows no bounds. Featuring a sparkly heart-shaped stone in the center, this shiny pink snowflake has wonderful detail and bling to spare in the surrounding 12 sparkly stones. This CHARM IT! 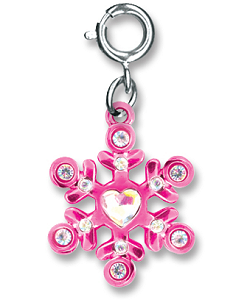 Pink Snowflake charm makes it so easy to change the look of your charm bracelet to match your mood or outfit - and even the season - as all it takes is a simple snap of the clasp.